For more than 1,000 years, Warwick Castle has stood on this site - fortified to keep unwanted visitors out. But today the castle has raised the portcullis, thrown open its doors and now welcomes thousands of visitors from around the world. See the Mighty Trebuchet - the ultimate medieval weapon - demonstrating its awesome power. Marvel at the royal sport of falconry in the Flight of the Eagles, as magnificent birds swoop and dive around the castle. 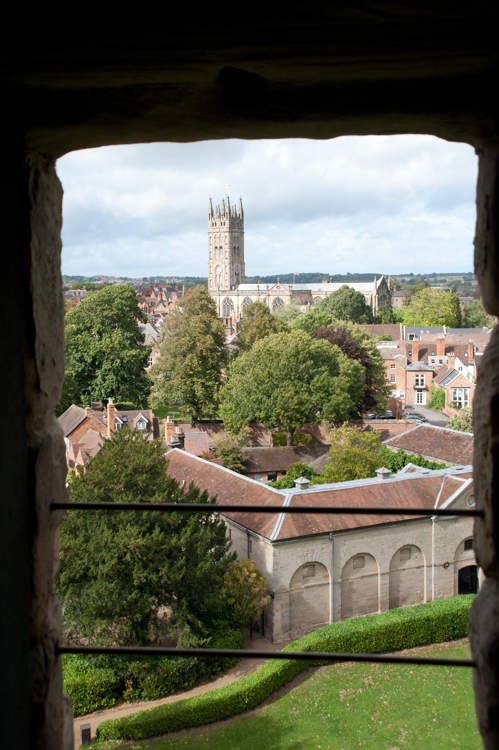 Climb the towers and enjoy the panoramic views across Warwick and the surrounding countryside. 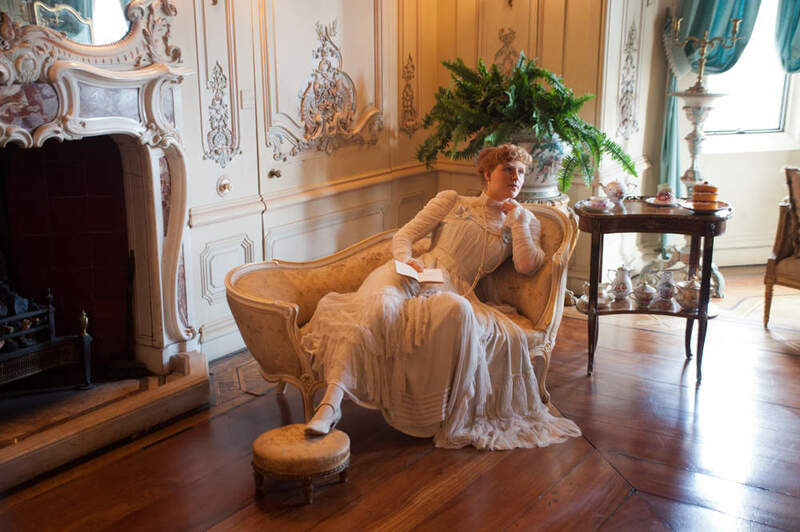 Be part of the splendour of a royal weekend party in Victorian times. 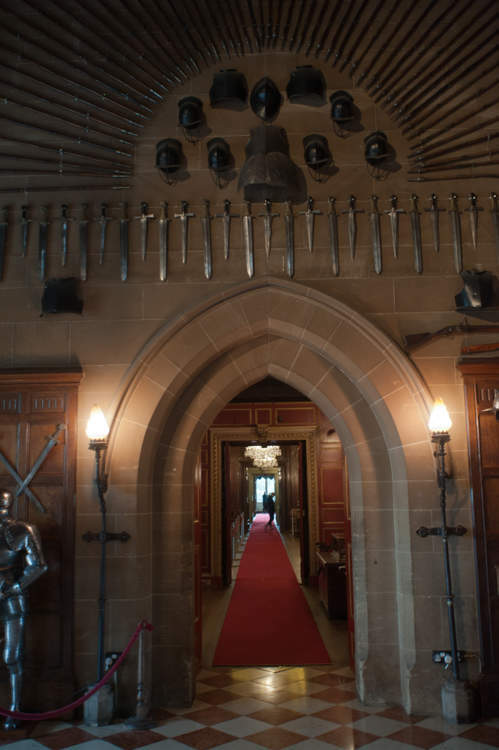 Enjoy the opulence of the state rooms, or experience the horrors of the Castle Dungeon - if you dare. We recently visited Warwick Castle to experience for ourselves a day out at one of Britain's most popular historic attractions. Why not join us on our visit? Arriving at the car park, we were directed to a space, and walked in from there. It was quite a long walk - about 5 or 6 minutes. There is a closer car park available, but that costs £10 instead of £6 - possibly worth considering if there are people in your party who don't want to walk too far. 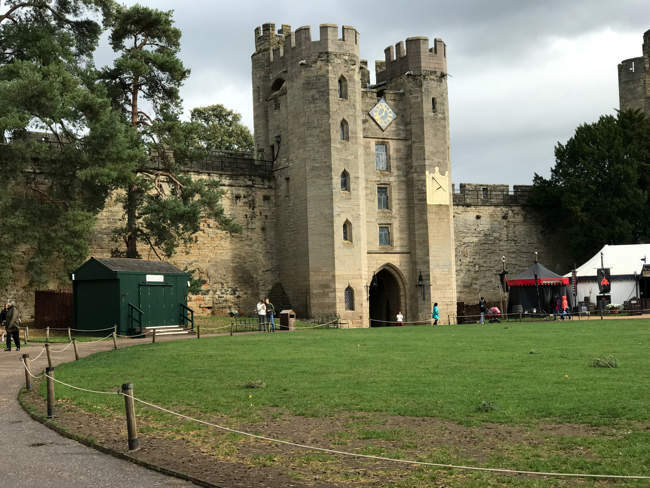 As we went through the turnstiles, we found a handy guide to the events going on during the day - and we were just in time for one of the highlights of any trip to Warwick Castle: The firing of the Trebuchet! Warwick Castle is home to one of the largest working siege engines in the world - and better still, they fire it every day - it’s a sight you won’t want to miss. 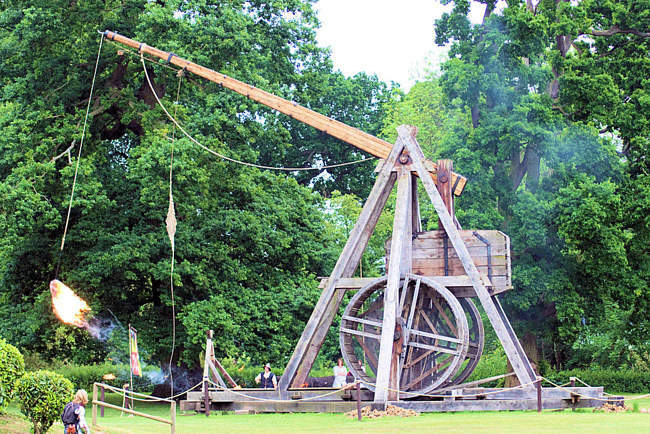 In 2006, the Warwick Trebuchet flung a cannonball weighing 13Kg more than 249 metres at a speed of 121 miles per hour! 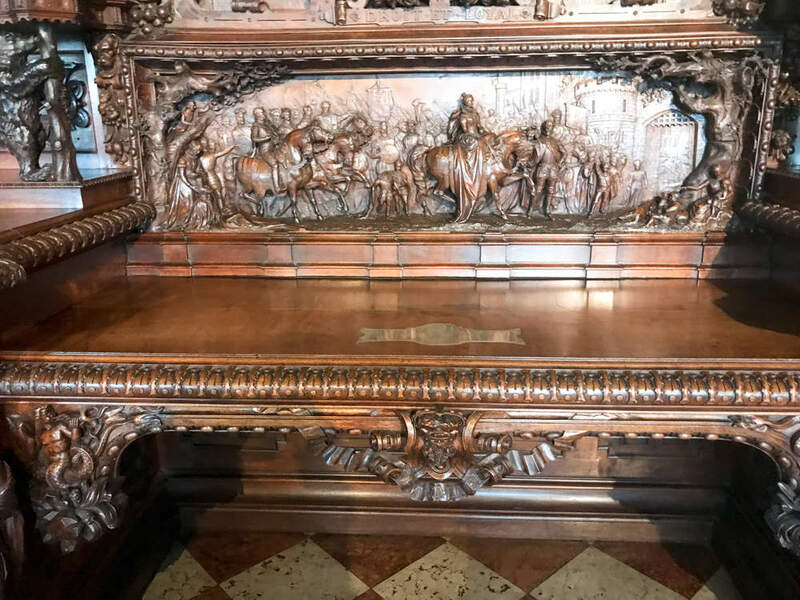 As you can imagine, any machine capable of deploying that amount of energy needs to be kept at a safe distance - especially when it's made of wood to a medieval design! So the audience can view the firing from a safe position, about a hundred yards away on the other side of the river Avon. Luckily, the siege engine is enormous: It’s 59 feet tall and weighs 22 tons, with an arm made from two ash trees, so there's no problem seeing what's going on. A team of 8 men and women operate the trebuchet, including winding the mechanism up by walking inside two giant wooden wheels. It takes about 15 minutes to get the siege engine ready to fire, and there's a full and entertaining live commentary provided by a costumed presenter - who not only tells you what’s going on right now, but gives some fascinating insights into how siege engines like this were actually used. It gets a bit “Horrible Histories” at times, but the kids will love it! Once the preparations were completed, the assembled crowd began the count-down, and on the cry of “LOOSE” the siege engine unleashed its projectile which was thrown a huge distance. It was a stunning demonstration of the power of this ancient weapon, which would have been a very frightening sight if it appeared outside your castle! It was raining on the morning of our visit, so we were keen to make our way inside the castle to dry off! 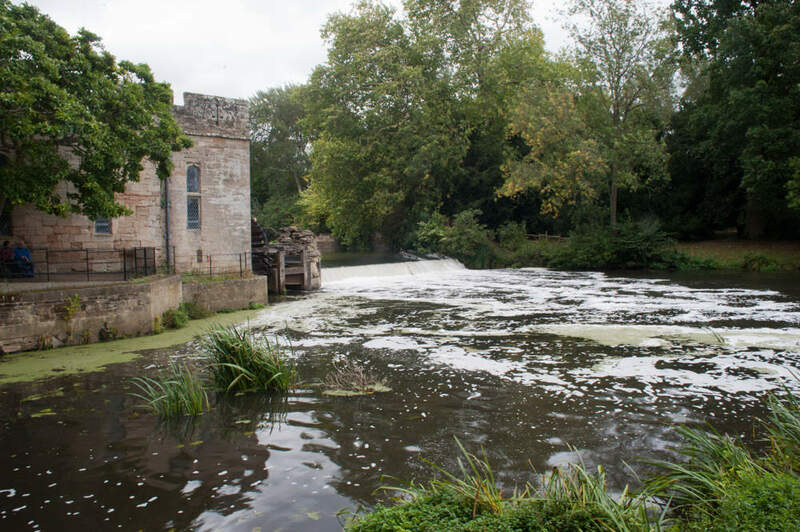 We walked to the nearest entrance, by the River Avon, and discovered a display of the water powered mill machinery which was used to generate electricity for the Castle until the 1950s. During the main tourist season, Warwick Castle hosts a twice-daily falconry display. 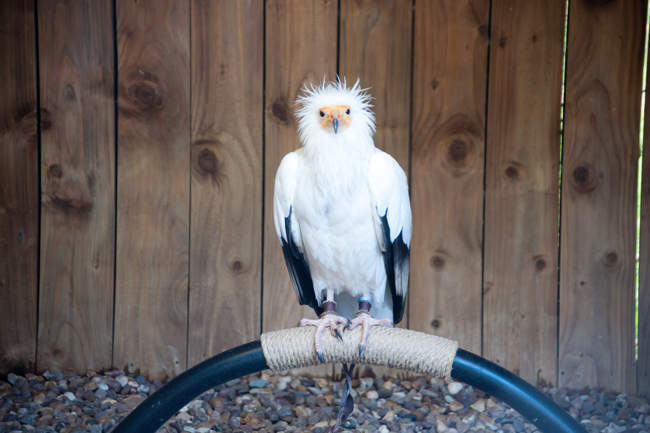 You can see a variety of impressive birds of prey, including “Archie” the Bald Eagle, “Frank” the Egyptian Vulture, and several more (including one with a 10 foot wingspan!) put through their paces. 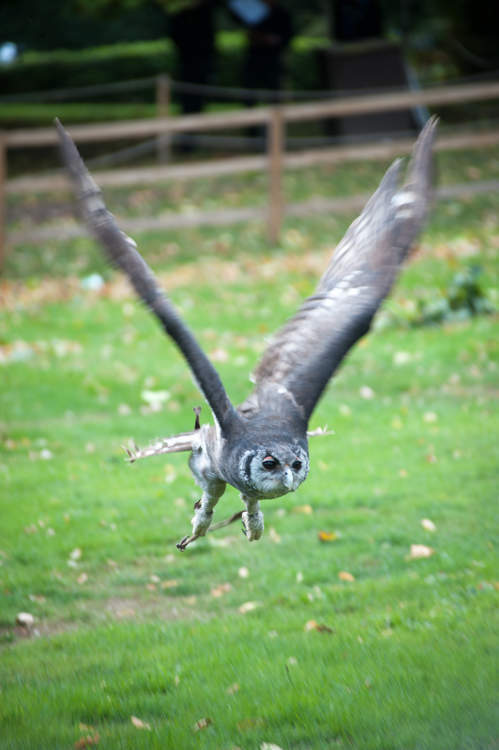 The combination of some truly magnificent birds, sometimes swooping just inches about your head, the large area which allowed them to show off their amazing flying skills, and an entertaining commentary from the falconer made for an unforgettable show. Some of the birds even landed on the towers and battlements of the castle itself, before returning to the falconer for their reward. We enjoyed the show so much that we made a point of going to the second display, where different birds were flown. This display concluded with five Red Kites flying at once, demonstrating their aerobatic skills to music as they swooped and dived around the arena. The Coach House Restaurant is located in the Stables Courtyard, which you go through as you enter or leave the castle - so it’s ideal for visitors looking for coffee or breakfast when they arrive, or a bite to eat before going home. The restaurant is open throughout the day, so it’s an option for lunchtime too - as it’s not a long walk from the main castle. The Undercroft Restaurant is located in the main castle buildings, so it’s quick and easy to get to. If you’re looking for a medieval-size feast, they offer an “All You Can Eat” Pasta or Pizza buffet, with unlimited soft drinks and salad. We still had lots of the castle to explore, so we chose to grab a quick bite to eat from one of the food stalls within the main castle courtyard, to save time. 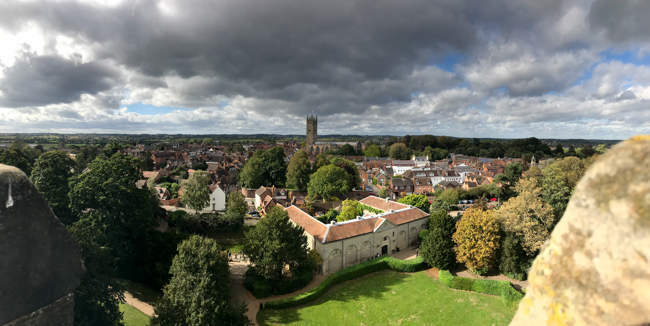 By this time, the rain had stopped and blue sky and sunshine were putting in a welcome appearance, so we decided it was time to climb Guy’s Tower and explore the battlements. You'll need plenty of energy to climb the tower - it’s 117 feet (five stories) high, so there are lots of tight spiral steps to climb. 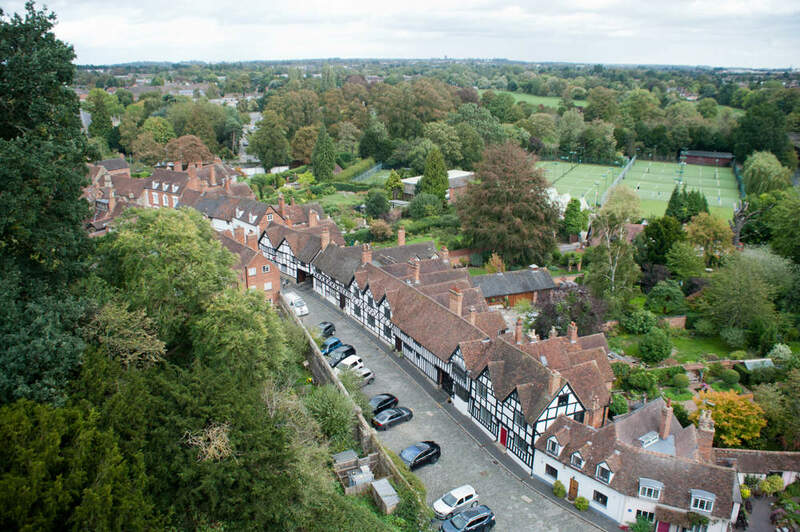 The wonderful panoramic views of Warwick and the surrounding countryside from the top makes it very much worthwhile. You can certainly appreciate the strategic importance of the castle, as from the top of the tower you can survey the land for miles around, scanning for potential attackers - or, in the 21st Century, taking some excellent selfies! There are lots of other towers and walls to discover, including Clarence Tower, Bear Tower and The Mound with its amazing views as far as Stratford-upon-Avon. Venturing inside the castle, we found ourselves in the Great Hall - a truly magnificent and awe-inspiring room that dates back to the 1300s. Today it’s home to some superb suits of armour - including armour for horses, and a tiny one made for the four-year-old son of the Earl of Leicester. Look out for the magnificent Kenilworth Buffet, a wonderful piece of furniture, carved by local craftsmen from a single oak tree from the grounds of Kenilworth Castle, for the Great Exhibition of 1851. On the day of our visit, the Great Hall was being prepared to host a wedding reception - with tables ready for guests. 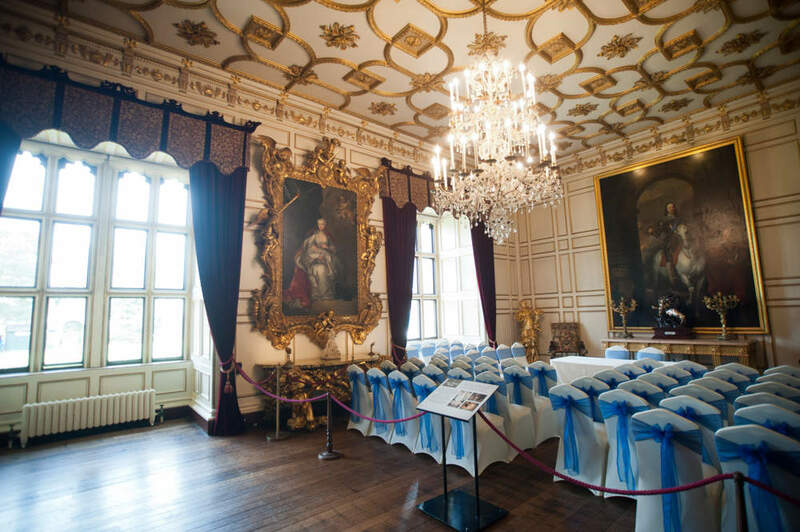 The room is certainly a wonderful venue for any wedding. 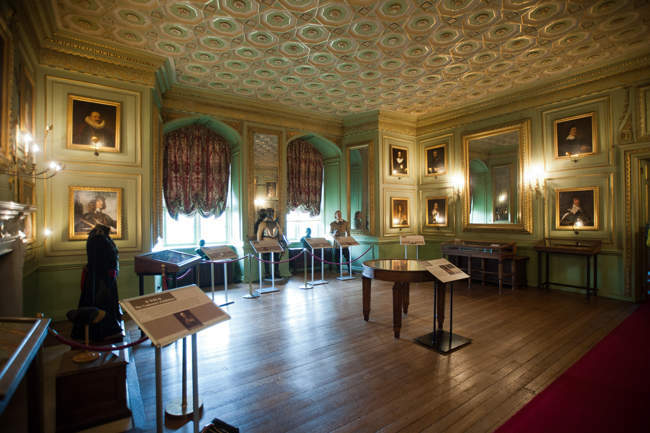 Leaving the Great Hall, we explored the nearby State Rooms which are every bit as magnificent as you might expect. 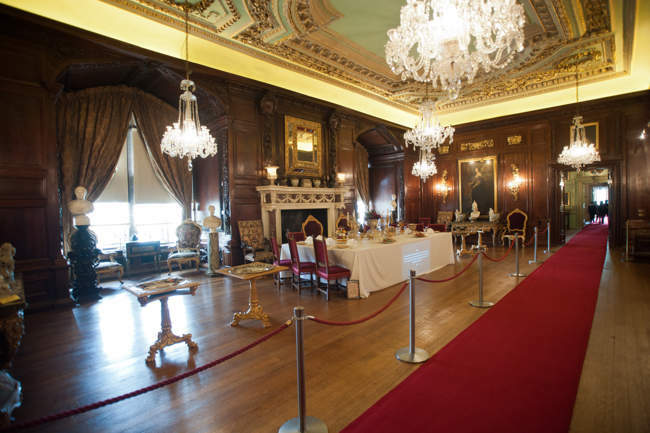 The State Dining Room was commissioned in 1763, and has often played host to royalty, including George IV, Edward VII and Queen Victoria. It is still in use to this day. 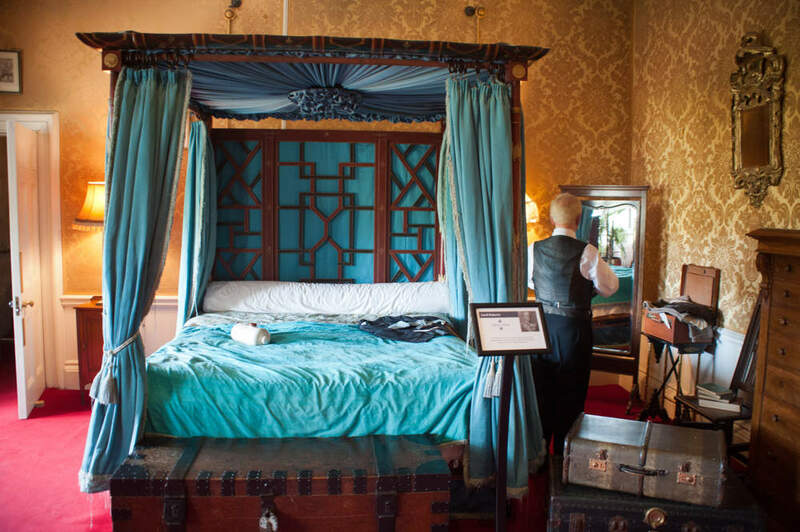 We also marvelled at the Italian styled Cedar Drawing Room, The Green Drawing Room with its many works of art and superb ceiling, and the Blue Boudoir with its silk wallpaper. There is even a chapel with its own organ. 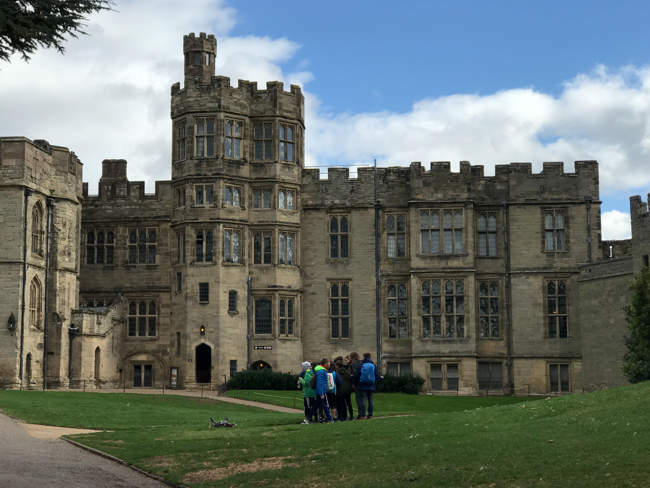 Although we chose to explore Warwick Castle by ourselves, there are several free tours available to visitors throughout the day, where you can learn more about the history of the castle. Warwick Castle is now run by Merlin Entertainment who own Madame Tussauds, the world famous waxwork company. 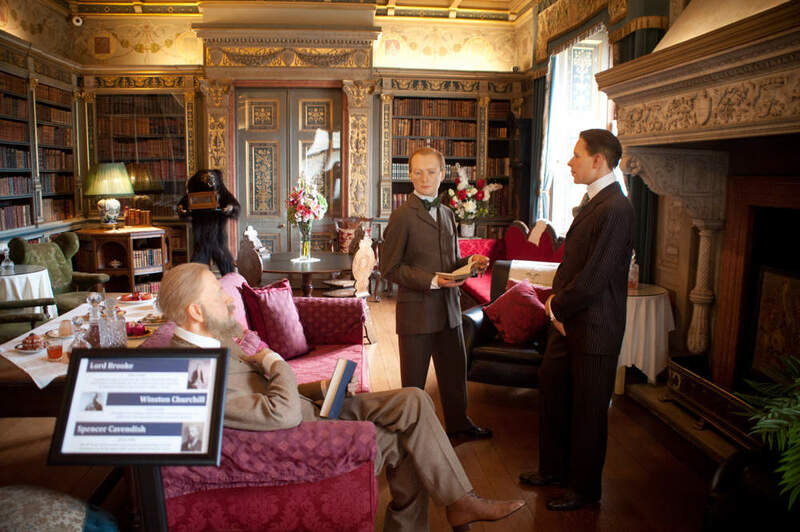 They’ve put that expertise to good use at Warwick Castle by re-creating a weekend party held at the castle by the Countess of Warwick, for guests including the Prince of Wales, who later became King Edward VII. This exhibition is spread over 12 formerly private apartments, that have now been decorated and furnished with items from the period. 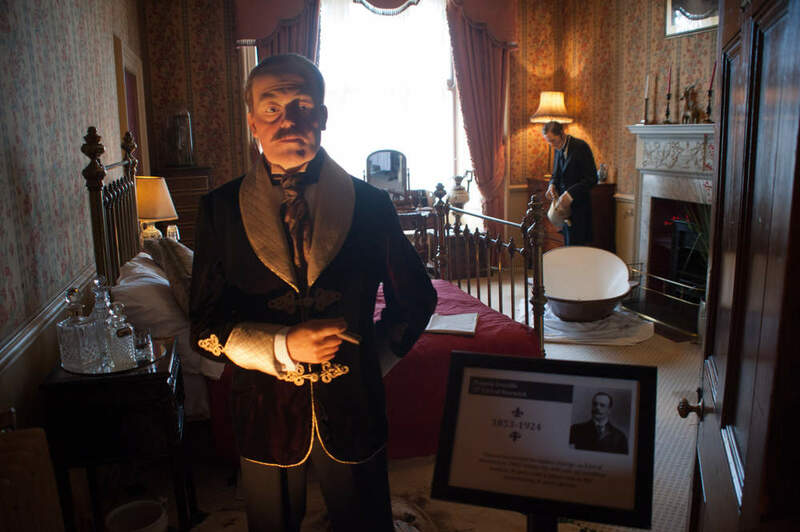 The presence of the waxwork “guests” within these rooms, including a young Winston Churchill, could make you believe you’ve travelled back to this very special Victorian house party. We all found ourselves mistaking one of the waxwork models for a real person - just for a second! Sticking with the waxworks theme - the Kingmaker exhibition is well worth seeing. This time you travel back in time to the civil war in 1471, and walk through several scenes from medieval England as Richard Neville’s army prepares to go into battle. 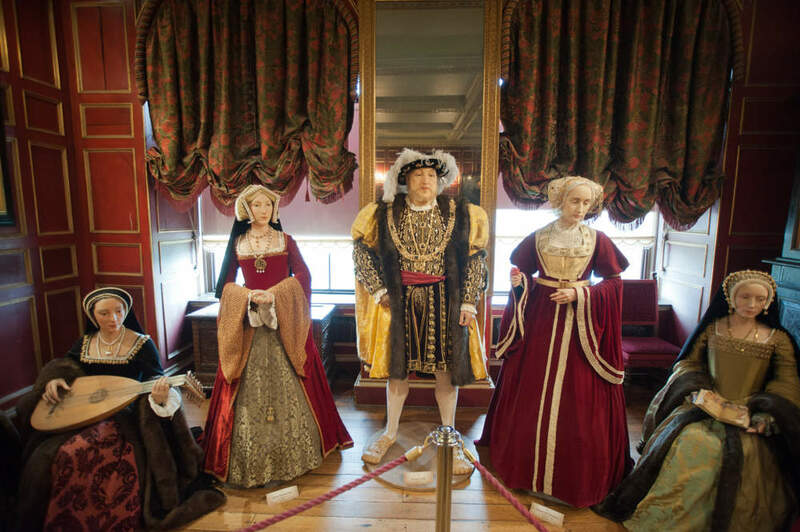 As well as the lifelike wax models, the scenes are enhanced with sounds and even smells that bring them to life. 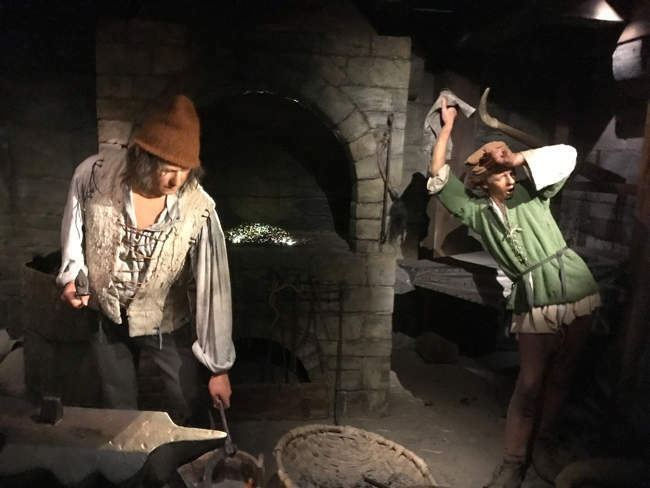 For an additional cost, the bravest visitors can experience the darkness of the Castle Dungeon, where actors bring historic characters to life. There’s a full 50 minutes of entertainment as you experience the (sometimes gruesome) stories from more 1000 years of history. 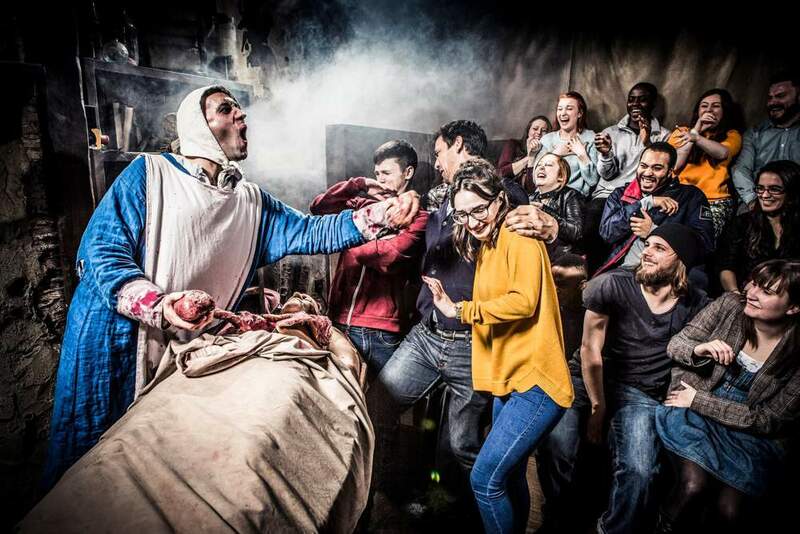 The Castle Dungeon promises laughter, screams and even special effects to keep you entertained. Due to the dark and scary nature of this attraction, there’s a long list of people it’s not suitable for. Check the website to see if you qualify! Younger visitors (and probably most of the older ones) won’t want to miss the Horrible Histories Maze - giving them the opportunity to “get lost in time”. 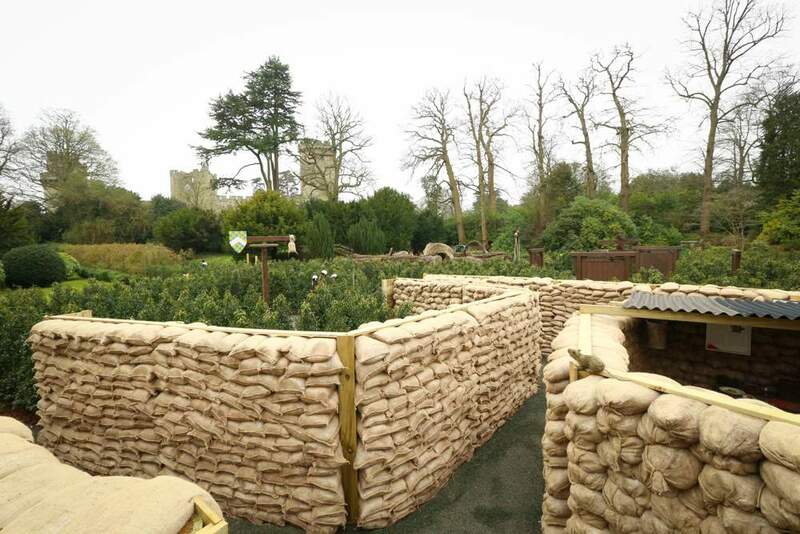 With areas dedicated to time periods including Vicious Vikings and Stormin’ Normans through Terrifying Tudors, Slimy Stuarts and the Frightful First World War - there’s lots of historical fun on offer. The Wars of the Roses Live would be well worth seeing. 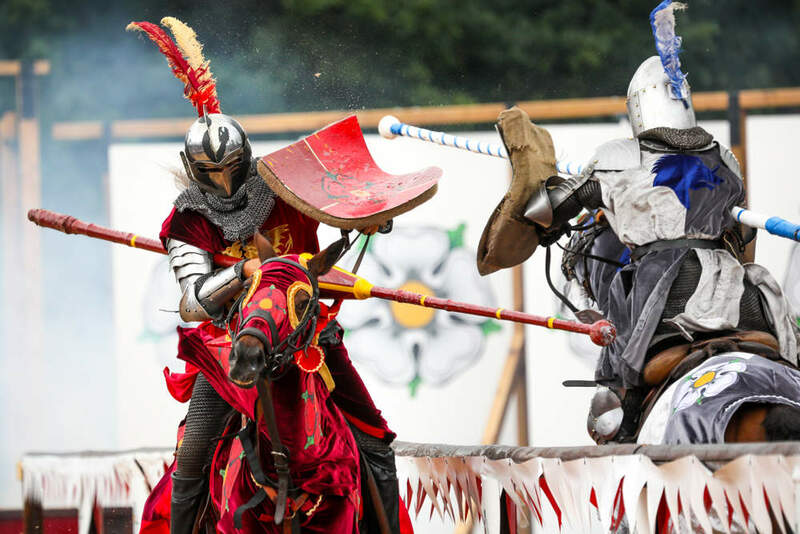 Held every day during the summer holidays, it’s a rare chance to see the spectacle of jousting as the houses of Lancaster and York clash. Our visit was too late in the year to see this for ourselves - but it’s certainly something I’d like to see on a future visit. Other seasonal events include The Haunted Castle Halloween event, and the festive Christmas at the Castle. It’s worth keeping an eye on the Warwick Castle website to see what’s happening around the time you’re planning to visit. 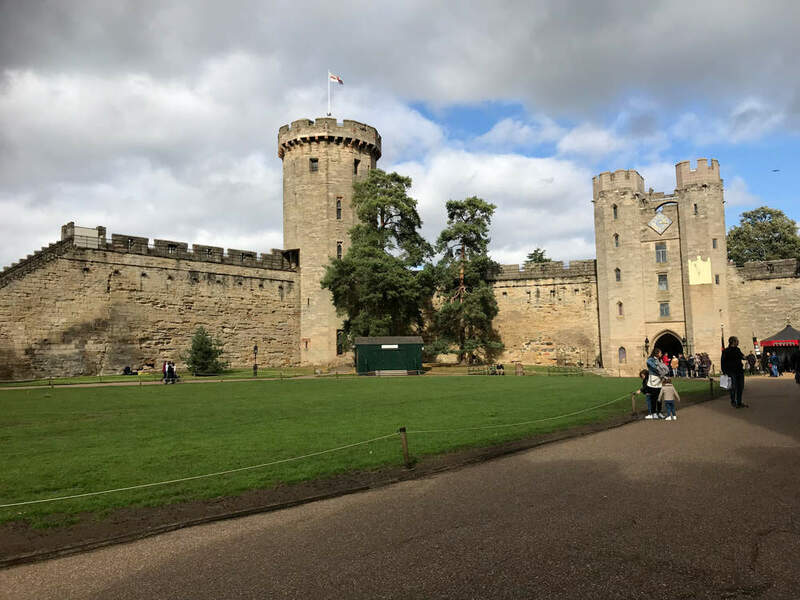 As it dates from medieval times, Warwick Castle wasn’t designed with accessibility in mind - so unfortunately, some parts of the attraction are not accessible. The castle is a Grade 1 listed building, which has limited the accessibility features that could be added. However, a wheelchair lift to the ground floor of the castle was installed in 2018, with plans for more features (such as an adult changing facility) in the pipeline. 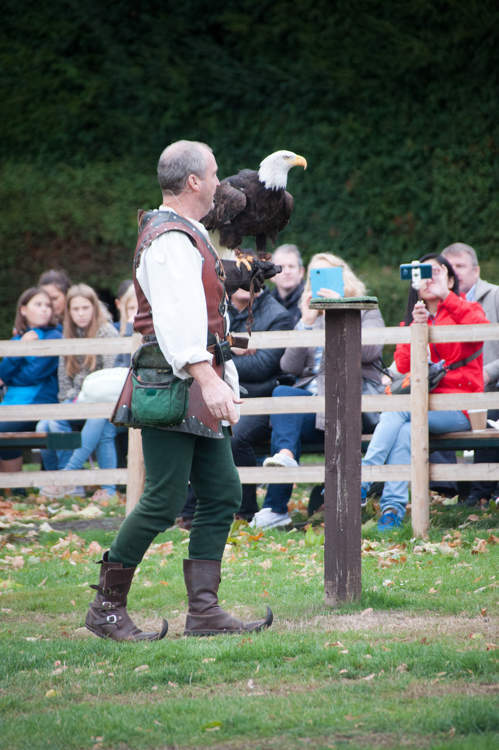 Shows at Warwick Castle such as the Flight of the Eagles and The Mighty Trebuchet are fully accessible as they take place outside. 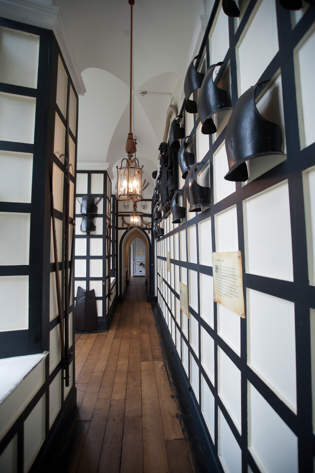 The last four rooms of the Castle Dungeon are also accessible to wheelchair users who can enter free of charge with a carer. Although the Great Hall and State Rooms are up a flight of 11 steps, a wheelchair lift was opened in September 2018, enabling wheelchair users to access the ground floor of the castle for the first time. Unfortunately, the towers and ramparts are not accessible to people with mobility problems due to their narrow spiral staircases. Registered assistance dogs are welcome, but are not permitted to climb the towers and ramparts, or within the Castle Dungeon and Time Tower attractions. We visited with a Guide Dog Puppy - and all the staff were very friendly and happy to see him. The falconers very politely asked us not to take him to the Falconry Display as seeing a dog would upset the birds - which seemed perfectly reasonable - so one of us stayed at a distance in the spot suggested, and kept the dog out of sight. There are accessible toilets in the Stable Courtyard and The Conservatory. The Undercroft toilets in the castle itself are not wheelchair accessible. 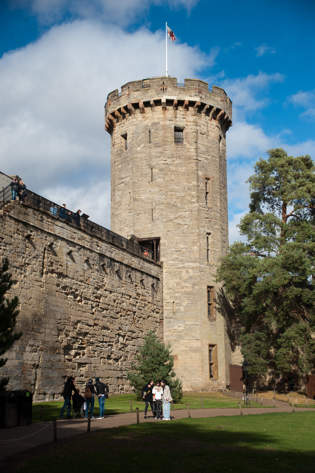 Warwick Castle has a full accessibility guide, which you can download from their website. Disabled visitors can obtain a free ticket for a carer on arrival. 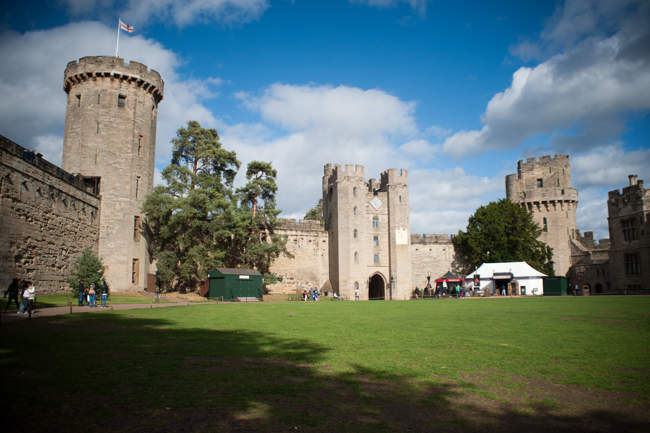 (Check the Warwick Castle website for the documentation you need to bring to claim your free carer's ticket). Stables Car Park: Postcode for SatNav CV34 4QU: £10 This car park is located off Castle Lane, and is the closest car park to the castle entrance. Stratford Road Car Park: Postcode for SatNav: CV34 6AH: £6 This car park is located off Stratford Road, and is a 5-10 minute walk from the castle entrance. Stratford Road Car Park - Field: Postcode for SatNav: CV34 6AH: £6 This car park is a 15-20 minute walk from the castle entrance. There is a drop-off area near the entrance, where disabled, elderly or young visitors can be dropped, before the driver goes to park and walks back. Warwick Castle is one of Britain’s most popular tourist attractions - so it can get very busy at peak times. The quietest dates are January, February (excluding half term), and November. Busy dates include April to September, February half term, Halloween, and Christmas Holidays. Weekends are typically busier than weekdays. Warwick Castle has been owned by 36 different people, including a two-year-old girl, and a three-year-old boy. Only 3 of the castle’s 36 owners have been female. The Warwick Trebuchet is 59ft tall and weighs 22 tonnes - it’s one of the world’s largest working siege engines. In 2015 sparks from a burning cannonball thrown by the trebuchet set fire to a thatched boathouse near the river. The trebuchet takes twenty minutes to prepare and to fire one cannonball. The ghost of Fulke Greville is said to haunt the Watergate Tower, even though he was murdered elsewhere. The current owners have spent more than £6,000,000 restoring the castle. In medieval times, the floor of the Great Hall would have been covered with straw. The castle was last sold in 1978 for £1.3m. 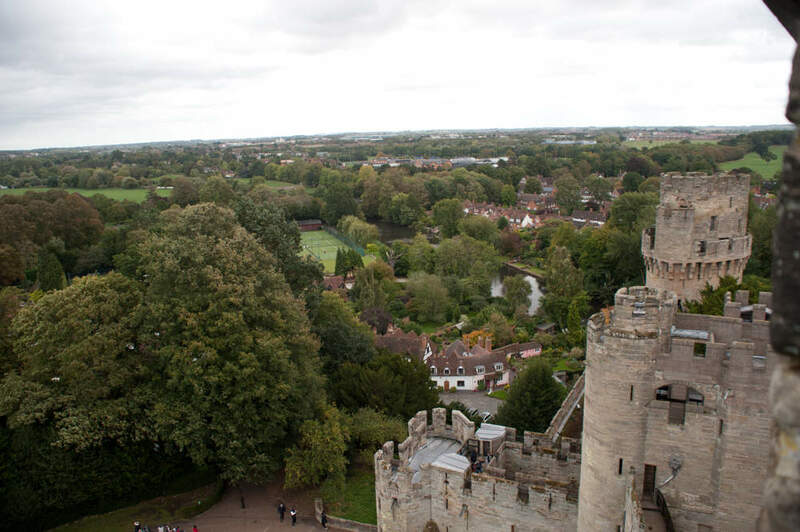 The tallest tower in the castle is Caesar’s Tower which is 134 feet high. You can now extend your trip by staying overnight in the Knight’s Village. 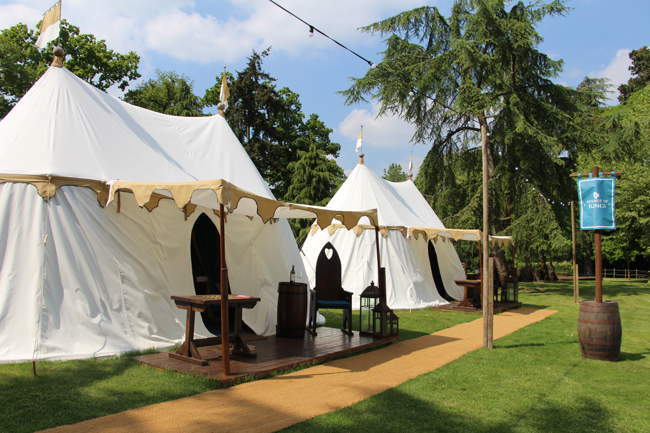 Choose from Medieval Glamping in themed tents fit for a knight, or if you prefer something a little more solid, you can stay in a Medieval themed Lodge. 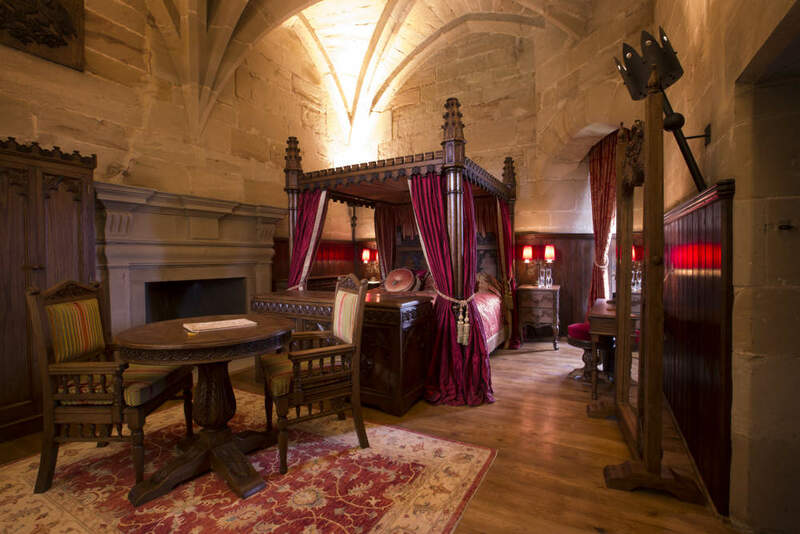 If you really want to splash out, you can choose to stay within Warwick Castle itself, in one of the luxury Tower Suites in the 14th Century Caesar’s Tower! Glamping tents have wooden floors, power sockets and even free WiFi, as well as all the bedding you require. There’s entertainment in the evening, and breakfast is included. The Woodland Lodges and Knight’s Lodges have a double bed and bunk beds, free WiFi, cable TV and of course the evening entertainment and breakfast. The Tower Suites are located within Caesar’s Tower, are opulently decorated and have a four-poster King-size bed. There’s complimentary champagne, and you can even have breakfast delivered to your bed-chamber in the morning. Free WiFi is included, as well as a private tour of the castle with a specialist guide from the History Team, two day tickets to the Dungeon attraction, and even Sky TV. All overnight stays include two days of entry to the Castle. 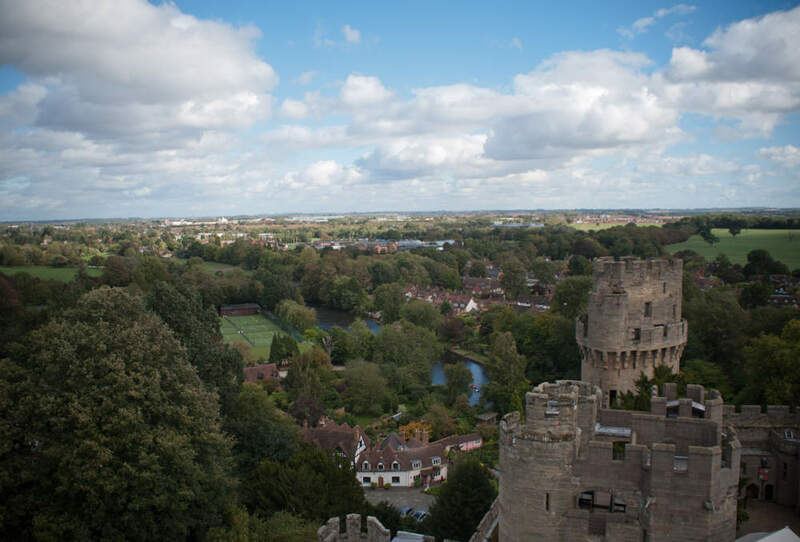 With history going back more than 1,000 years, you could write a book about the history of Warwick Castle - and people have! 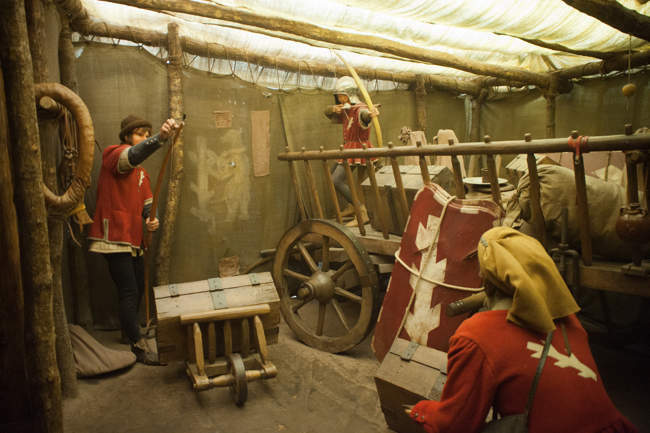 914: First fortified settlement built on the site. Also, Warwick School founded on site. 1068: William the Conqueror builds motte-and-bailey castle. (A keep on a mound surrounded by an enclosed courtyard). 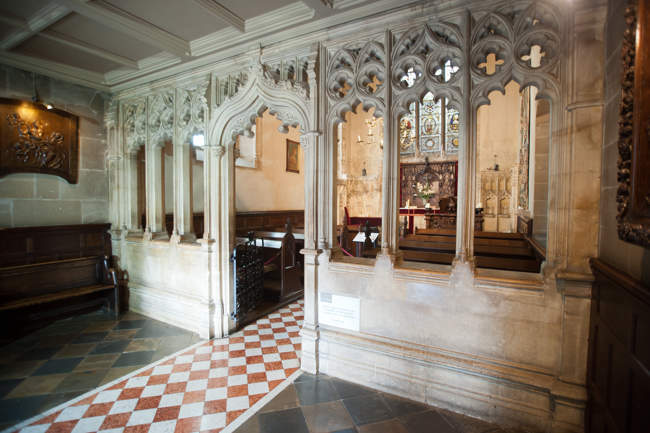 1088: First Earl of Warwick founds Church of All Saints within castle walls. 1119: Bishop of Worcester removes Church of All Saints. 1153: Wife of Second Earl of Warwick tricked into handing over the castle to Henry of Anjou (Later Henry II). 1154-89: Motte-and-Bailey Castle replaced with a stone keep castle. 1264: Castle attacked and taken by 6th Earl of Leicester from Kenilworth Castle. 1312: 1st Earl of Cornwall imprisoned in castle by Guy de Beauchamp, the Earl of Warwick, until his execution for treason. 1350: Caesar’s Tower and Dungeon were built. 1395: 117 foot Guy’s Tower completed. 1449: Richard Neville known as the “Kingmaker” during the wars of the roses, becomes Earl of Warwick. 1572: Queen Elizabeth I visits Warwick Castle. 1604: James I gives Warwick Castle (but not the title Earl of Warwick) to Fulke Greville. 1628: Fulke Greville is murdered by his manservant. 1695: William III visits Warwick Castle. 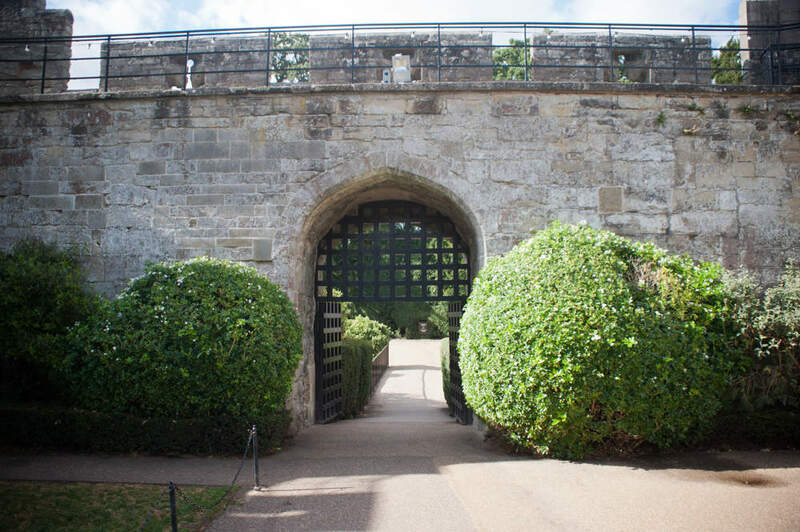 1750: Famous landscape architect Capability Brown landscapes the castle grounds. 1759: Francis Greville becomes Earl of Warwick, so the Earldom and the Castle are re-united for the first time in 155 years. 1763: State Dining Room completed. 1858: Queen Victoria visits Warwick Castle. 1871: The Great Hall is damaged by a fire. 1890: The mill is converted to generate electricity for the castle, and to power an electric car! 1978: Warwick Castle sold to Tussaud’s Group. 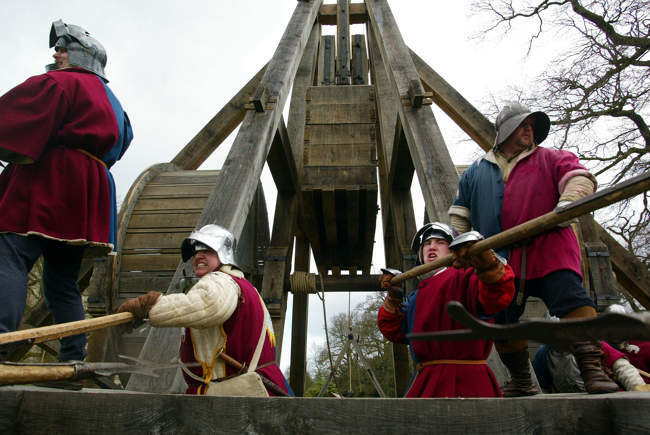 2005: The Warwick Trebuchet - one of the world’s largest working siege engines, comes to Warwick Castle. Q. 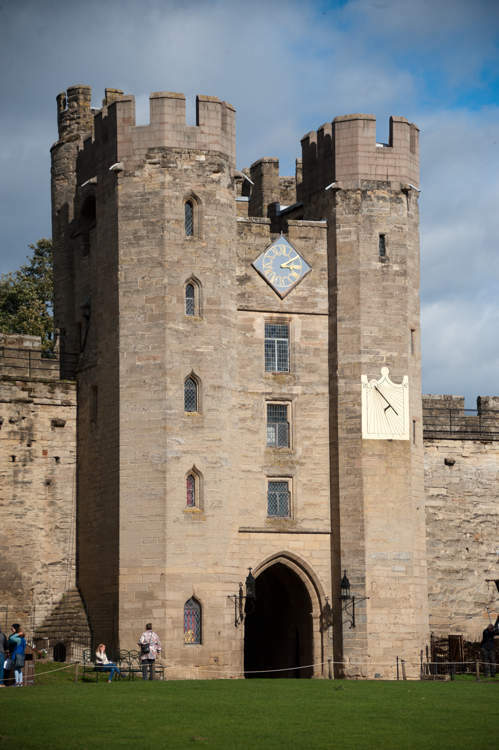 How long will a visit to Warwick Castle take? A. If you want to see the shows, tour the castle interior, climb the towers, solve the maze, experience the Dungeon, explore the grounds and enjoy the other attractions - you’re going to need the whole day. Q. How big is Warwick Castle? A. The castle walls are 130 metres long by 82 metres wide. The tallest tower is 134 feet high, and there’s more than a square mile (690 acres) of gardens and grounds. Q. 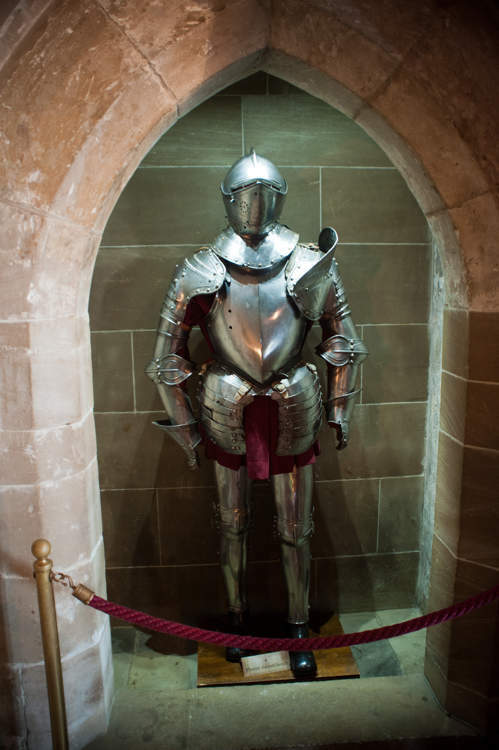 Can I take photographs inside Warwick Castle? A. Yes, apart from the Princess Tower and Castle Dungeon attractions, you can take photos throughout the castle and grounds. Q. 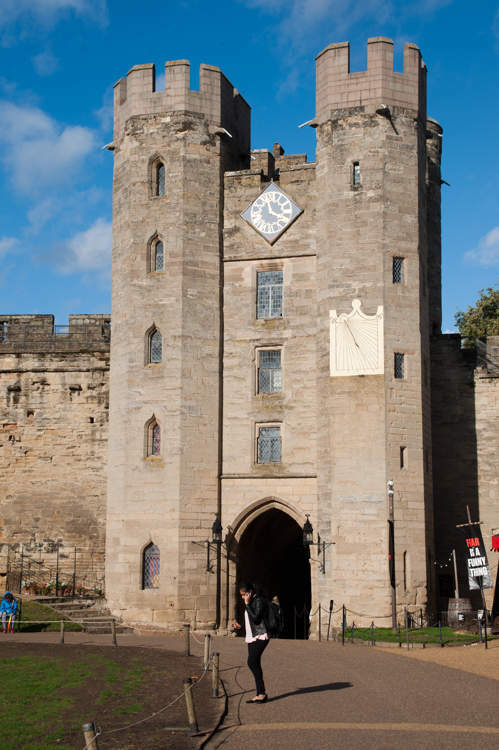 How accessible is Warwick Castle? A. The castle was built hundreds of years ago, and as a Grade 1 listed building there are strict limits on what can be changed - so unfortunately, some parts of the castle are not accessible: The towers and ramparts are not accessible and the Great Hall and State Rooms are up a flight of steps. The outdoor shows are accessible, as are the last four rooms of the Castle Dungeon attraction. Please see our section on accessibility for more detailed information. Q. 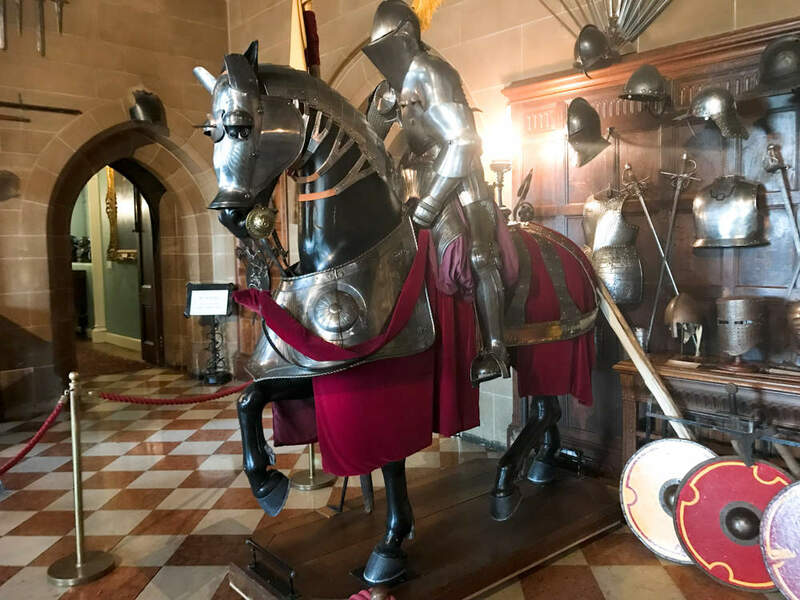 Can I stay at Warwick Castle? A. Yes, you can stay in the Knight’s Village where you can choose from glamping or staying in a themed lodge. Or you can even splash out and stay in the castle itself in one of the luxurious Tower Suites complete with four poster bed. 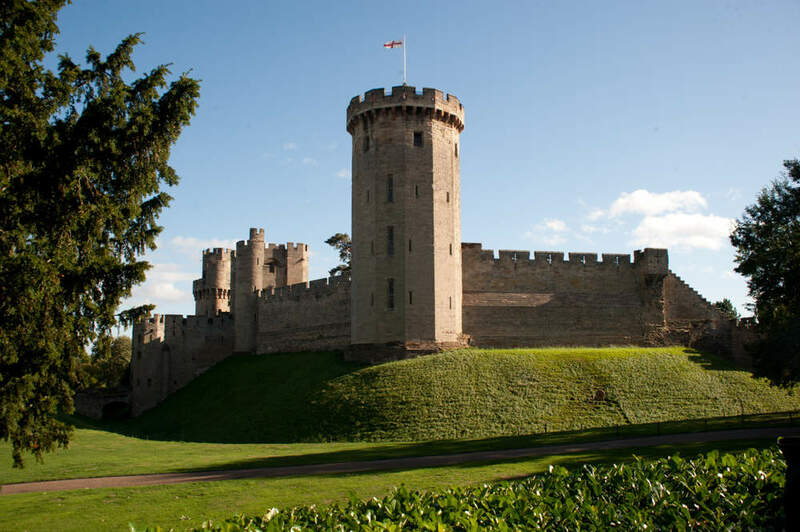 Check out Staying at Warwick Castle for more information. Q. Can I bring an assistance dog? A. Yes, you’re welcome to bring a registered assistance dog, but they’re not allowed to climb the towers or ramparts, or to go into the Castle Dungeon or Time Tower attractions. Q. Does the castle have a car park? How far is it from the Castle? A. Yes, the Stables Car Park is next to the entrance, or the Stratford Road Car park which is a 10-20 minute walk from the entrance. 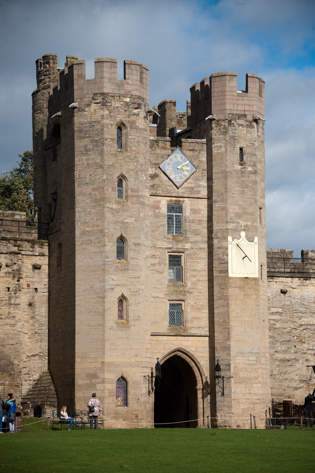 See Parking at Warwick Castle for details and costs. Q. Is there anywhere to buy food at the castle? A. Yes, there’s the Coach House Restaurant, the Undercroft Restaurant or you can buy food from stalls in the main courtyard. See Where to Eat for more details. A. 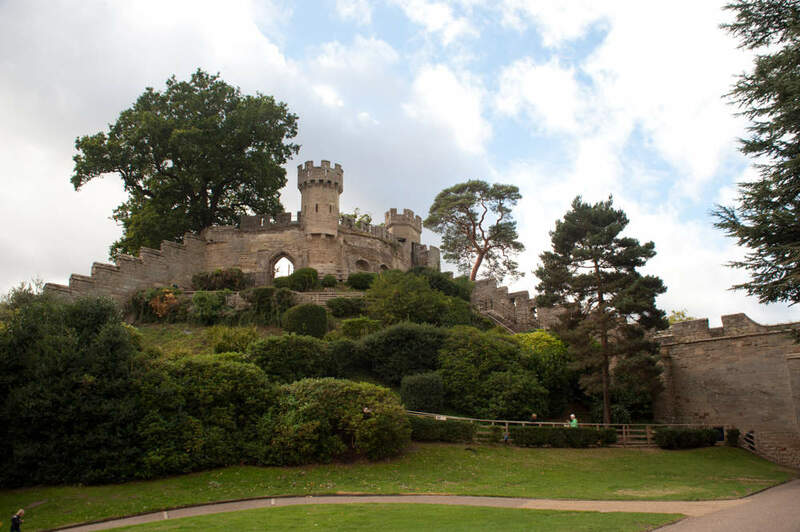 Yes, Warwick Castle has extensive grounds, so there’s plenty of space to enjoy a picnic and admire the gardens. Q. 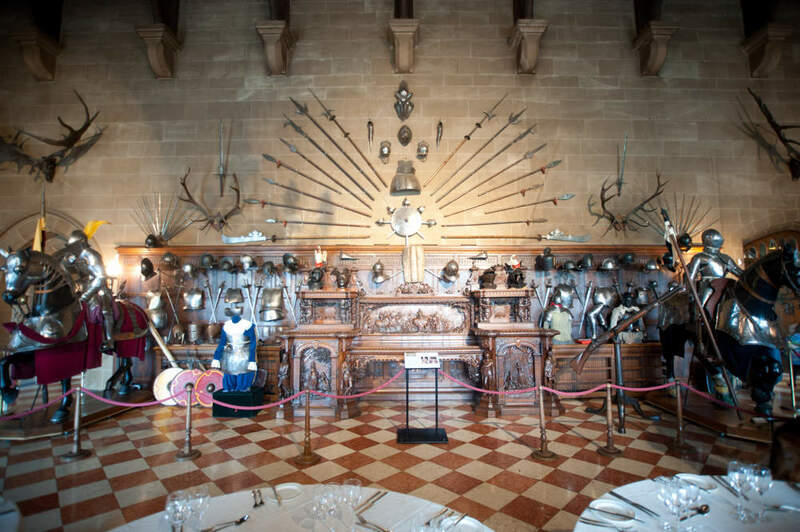 Can we have our wedding at Warwick Castle? Q. How do I organise a school trip to the castle? Q. Is the Castle Dungeon suitable for young children? A. No, the Castle Dungeon isn’t suitable for under 10s, and under 18s must be accompanied by a parent or guardian over 18. Q. Is there a free dungeon to visit without paying extra? A. Yes - the Gaol is the original Warwick Castle dungeon and entry to it is included with a standard ticket. Warwick Castle is open every day except Christmas Day. It opens at 10am, and the closing time varies depending on the season and events. Please check on the Warwick Castle website for the closing time on the date you plan to visit. Watch out for seasonal offers which sometimes offer discounted entry for kids. Groups of 7 or more can get discounted tickets. Holders of a Merlin Annual Pass can get into Warwick Castle Free of Charge on most days (check website for restrictions). 2 miles from Junction 15 of the M40. Just follow the signs. Stratford 20 mins, Birmingham 40 mins, London 1hr 30 mins, Manchester 2 hrs, Leeds 2 hrs. Chiltern Railways, London Marylebone direct to Warwick.